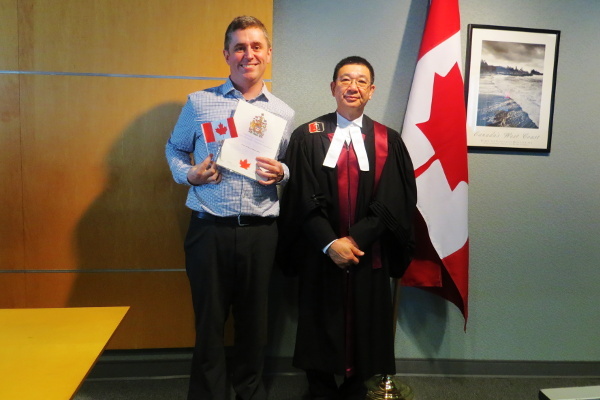 After 9ish months of waiting, Scott was granted Canadian citizenship. The ceremony was okay, as ceremonies go. Quite organized and efficient. But the way the room was set up it was very difficult to get nice pictures. Scott was actually as far away as possible from where I was forced to sit. Ah well. 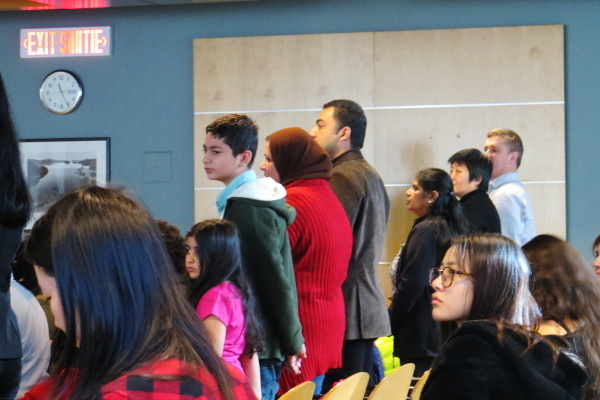 They all had to say their names, repeat the oath (I did as well) and sing the national anthem before receiving their citizenship certificates. Then a quick photo with the judge, and then done! After work we had a party at our house. We had butter tarts, maple cookies, ketchup chips, Canadian chocolate bars, poutine, tourtiere, pâté chinois, Canada Dry, and a whole lot of Canadian Club and Molson Canadian. 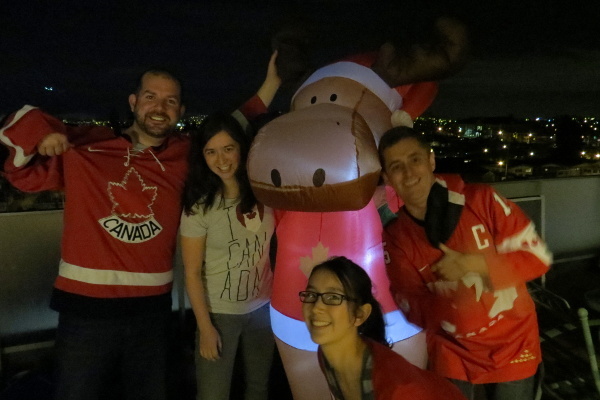 We had a maple leaf cutting out competition and a citizenship test leaderboard, and an epic Canadian music playlist. Scott and I enjoyed ourselves immensely, and I hope everyone else did as well. Next step: passport! And then an effortless trip across the border, just because we can. That sounds like an awesome party, eh!! I like the maple leaf cutting out idea.